In all you will encounter fourteen different weapons in the game. Knowing these weapons, how to use them, and how to defend against them, will be vital to your survival and your success in battle. The Pulse Laser is a basic energy weapon. It offers a high rate of fire, but it doesn't deal as much damage per shot as other weapons. 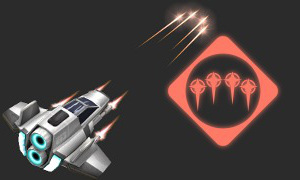 A relatively fast projectile speed make it a reasonably effective weapon at a distance, however the Pulse Laser's biggest advantage is that it is fed entirely off your ship's power, which means you will never run out of ammunition. The Blaster is a brute force weapon. Compared to the Pulse Laser, the Blaster's projectiles are slow, but they pack a bigger punch. 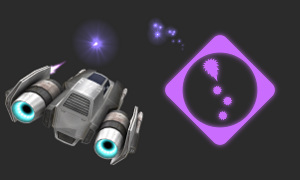 The larger size of these projectiles coupled with the weapons formidable rate of fire allow you to cover a wide area; and with respectable damage dealt per shot the Blaster can be devastating at close range. The Electro-Static Particle Cannon is a tactical weapon. It fires charged particles that are attracted to the hulls of ships. 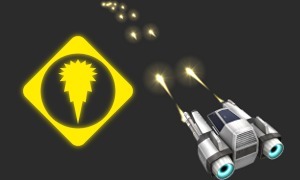 These particles act like tiny homing missiles, but since they rely on passive forces of attraction rather than any active tracking system, they are not fooled by the cloak. 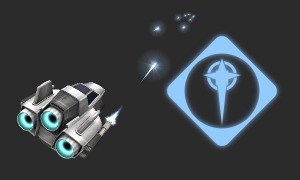 This makes the Particle Cannon a useful tool for finding and exposing cloaked ships. You should take care, however, to always have another weapon at the ready, since the Particle Cannon does very little damage. The Autocannon is a ballistic matter weapon, launching small metal shells at very high speed. 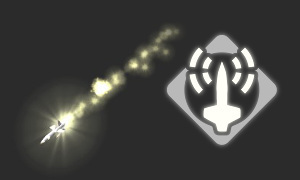 The small projectiles require precise aim, but they deal significant damage. The high velocity of this weapon makes it extremely effective at long range, but the precision required makes this weapon harder to use in a close-quarters dogfight. The Waveguide fires high energy particles at light speed. This weapon has the longest reach of any weapon. The damage per shot is not very high, but the rate of fire is reasonable. If your aim is good, the Waveguide can be an effective weapon at any range. Use care when sniping with this weapon, however, since the bright projectile trails produced will give away your position. The Disruptor is a serious weapon. Highly energetic subatomic particles pass through both shields and hull armor, disrupting energy fields and causing molecular damage as they go. For maximum effect, try to align your shots such that the projectile travels in the same direction as your target. This will allow the projectile to stay in contact with the target for a longer period of time. 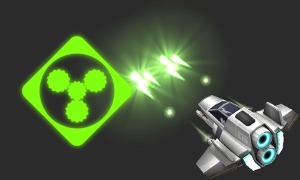 The Quad Raser is a re-tuned high-energy Pulse Laser that fires in bursts of four projectiles each. This results in a very powerful shot that can deal a lot of damage. Unfortunately, it requires a long recharge time between shots and, unlike the Pulse Laser which can use waste particles from the ship's reactor, the Quad Raser must use higher-energy particles from a limited ammunition source. 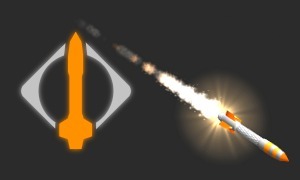 The Dart Rocket is a basic, unguided missile. 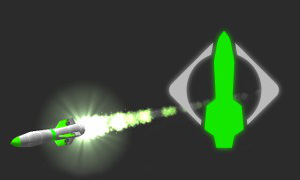 Using a solid metallic tip backed by a small explosive charge and pushed along by a high-energy propellant, the Dart Rocket travels fast and hits hard. Cheap, plentiful, and capable of being fired in rapid succession, this missile is simple but effective. However, a limited blast radius and no guidance system means that you must have good aim in order to get the most out of this weapon. The Seeker Missile is a "fire and forget" self-guided missile that autonomously selects and tracks the nearest target. Slower than the Dart, but still fast compared to other guided missiles, the Seeker is a good long-range weapon; but its limited rate of turn reduces its effectiveness in confined spaces and makes it relatively easy to avoid by use of evasive maneuvers. Swarm Missiles are miniature self-guided missiles, launched in groups of four. They travel slower than the Seeker and, individually, do less damage. However, the advantage of their smaller size and slower speed is a substantially increased turn rate, which makes them much harder to evade. 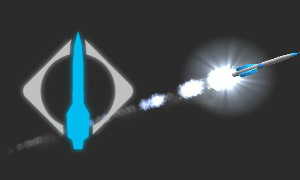 It is difficult to break their lock through evasive maneuvers alone, so the best defense against these missiles is to either cloak, shoot them down, or outrun them. These tiny missiles do no damage, instead they tag the ship they hit by attaching a special tracking beacon which broadcasts its position. Once tagged, the victim will find it impossible to hide until the battery in the beacon wears out. Your targeting computer will show the position of a tagged ship even inside buildings and behind walls. The Tracker also renders the victim's cloak useless, since the tracking signal cannot be blocked by the cloak. 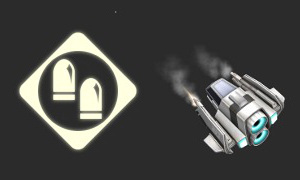 Even homing missiles can attain a lock on a cloaked ship if is tagged with a Tracker. 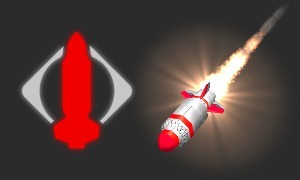 The Inferno Rocket is an unguided missile with a flammable payload. Upon impact a small explosive charge ignites and disperses a self-oxidizing incendiary compound capable of burning even in the vacuum of space. 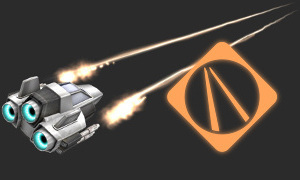 Though Inferno Rocket is primarily a tactical area denial weapon, a direct hit can take down most targets in one shot. Use this missile with caution, because it has a high risk of collateral damage. The Spike Mine is not a mine, it is a large grenade. A simple explosive device with contact triggers and a two-second timer. 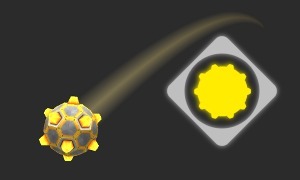 The contact triggers are sensitive to ship hulls, but not to the non-reactive material of most walls; this allows the Spike Mine to be bounced around corners, which can be tactically beneficial. 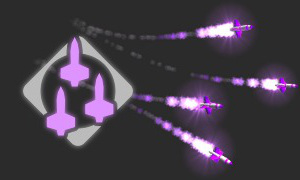 As this weapon is not self-propelled, it must be "thrown" from the ship by launching it while traveling forward, and then engaging reverse thrust in order to clear the blast radius. The Buster Missile is a self-guided cluster bomb.The primary warhead detonates on impact, causing serious damage to any ship within the blast radius, and dispersing six smaller grenade-type bombs that explode approximately one second later. Slow and heavy, this missile is easy to evade out in the open, but the large blast radius and secondary explosions make this weapon quite deadly when deployed in confined spaces.